Today’s post is from guest author Brennan Killeen, RN, BSN, Clinical Nurse at MedStar Georgetown University Hospital (MGUH) and Telluride Scholar June 2015. Brennan was asked to give a speech to this year’s MGUH Nurse Residency graduating class. Her focus was patient safety and her experience at the Telluride Patient Safety Summer Camps. We are so happy to see the premise “Educate the Young” continues to build momentum in a new generation of healthcare leaders. Hello everyone and congratulations on your graduation. I’m Brennan Killeen. I graduated from the Nurse Residency Program here at Georgetown this past March. I work on C4-1, the Cardiovascular and Thoracic Intermediate Care Unit and I’m coming up on my 2-year mark as a nurse in February. I was a second-degree nursing student here at Georgetown before starting my career as a nurse on C4-1. I remember feeling all of the same emotions you all felt after graduation: the anxiety of finding a job, picking a city, finding the right hospital, the right manager, deciding whether or not being part of a residency program was the right fit… I want you to take a moment and reflect on all of your accomplishments thus far. Graduating from nursing school, passing your boards, landing a job at such a well-respected place like Georgetown and completing your first year as a nurse are big deals! I’ve actually been to this ceremony 3 times now. The first time was when I was still a baby nurse and had barely gotten on the floor yet. I remember sitting here and feeling slightly panicked that I’d never be able to complete an NRP poster or that I’d make a make a med error, I wouldn’t know how to hang blood, or I’d never get over being intimidated by doctors and senior nurses – there were so many emotions that flooded my mind that first ceremony. I did feel very overwhelmed but I never felt alone. I felt calm knowing that if I didn’t feel confident about my poster presentation I had Kristine and Kim, or if I was scared about making a med error or performing a procedure incorrectly I had my coworkers and policies to turn to, or if I felt intimidated I had my manager, Elly, or educator, Alisa to ask for guidance. This is the beauty in a place like Georgetown. The support that is provided to you as a new nurse is incredible. There are systems in place so that it’s hard for us as new nurses to fail and there are people around you who truly care about your success. There’s a palpable sense of pride at Georgetown. We honor our spirit values, we support one another and we always put the patient first by practicing as safely as possible. The second ceremony this past March was my graduation. It was a day when everything really came full circle. I felt proud of myself and my NRP partner for completing a project that we felt passionate about. I felt so excited my classmates and I had survived our first year as nurses. I remember walking around and observing the posters and feeling giddy. It was such a big moment for all of us. We’d become comfortable in our practice and it was hard to believe that we were no longer the new nurses. By this time, I’d become involved in Georgetown’s falls task force because of my interest in patient safety and I knew that my second year of nursing would give me the opportunity to take on more responsibility. Today is my third ceremony and I felt so much confidence in Georgetown when I walked around the room earlier and looked at your presentations. You all should be so proud of yourselves! You’ve survived your first year. But with that comes a new set of challenges and goals. It’s time to push yourself to really dive into this wonderful community. You’re veterans now and it’s you who’s going to be guiding the new nurses. The opportunities that Georgetown provides for us are countless. During my second year as a nurse I felt a strong sense of obligation to get involved. Georgetown invests so much time and energy in creating a safe environment for us as new nurses and in turn a safe environment for the patient. I can’t tell you how many times I felt thankful over the last year and a half for all of the safety measures that were in place for me at Georgetown: policies, MC75s, double checks, bed alarms, daily rounding and the list goes. All of these measures promoted safe practice for me and influenced my passion for patient safety. This summer I had the amazing opportunity to attend a safety camp in Telluride, Colorado sponsored by The Doctors Company Foundation and MedStar Health. It was the first year that Georgetown nurses were included in the camp in large part due to Eileen’s Ferrell’s efforts. 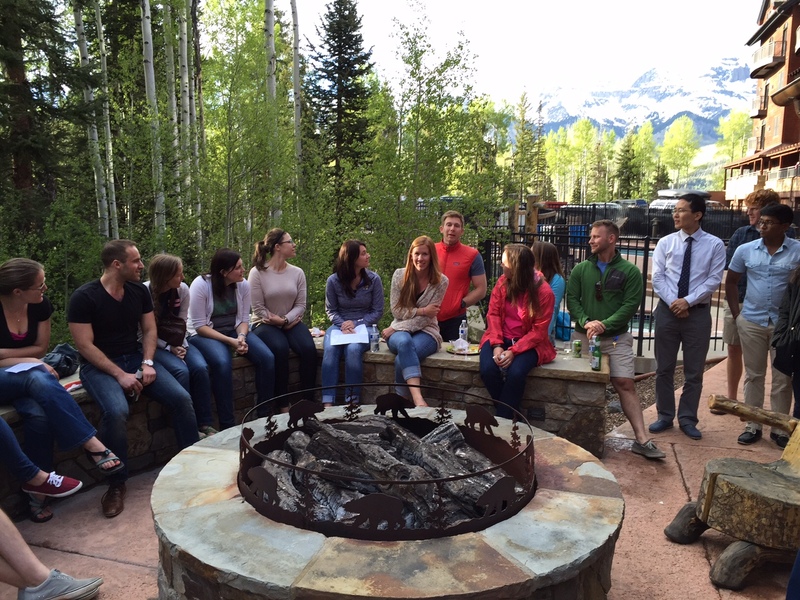 Med students, nursing students, doctors and nurses from around the country were able to gather together in Telluride to expand our knowledge on patient safety. 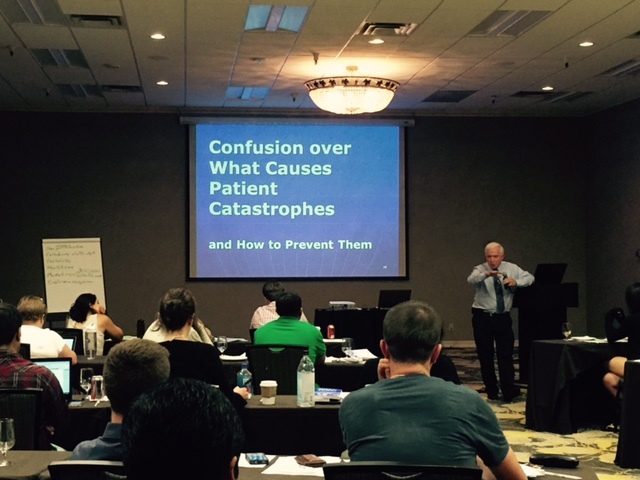 We spent the week discussing patient safety improvement, techniques, philosophy and approaches for reducing patient injury and adverse outcomes. Family members of victims devastated by medical errors also attended the camp to collaborate with us on ways to make system changes to avoid such errors. It was an eye-opening week for me and I learned so much. The sense of empowerment I felt after the conference was incredible. Knowing that we’re at a place like Georgetown where we can make a change after just a year and a half of being a nurse is an amazing feeling. One of the risk reduction strategies we discussed during the week was education. In our residency program Georgetown specifically carves out time during our classes to educate us on such strategies. This community encourages us to call for help and demands that this is a sign of excellence and not a sign of weakness. We belong to an organization with a just culture that applauds transparency and shared-decision making. As nurses we are encouraged to promote a culture of compassion, empathy and trust and in doing so we stand by our mission to provide safe, high quality care, excellent service and education to improve the health of our community. Telluride truly has been the highlight of my nursing career thus far and I have Georgetown to thank for that. I didn’t think that back in March I’d be standing up here speaking to you all about my Telluride safety experience but Georgetown challenged me to be better, to do more and to get involved. 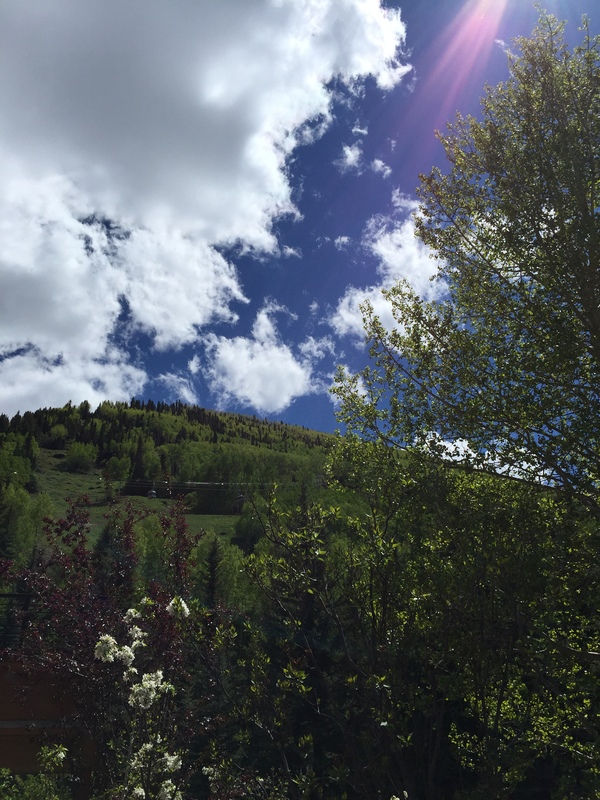 I want to leave you with a story from Telluride that really resonated with me and inspired me to prioritize patient safety during my nursing career. Lewis Blackman was a 15-year-old boy who died from a medical error following elective routine surgery in November of 2000. He suffered due to deficiencies in the system. He’d been prescribed Toradol post operatively. He was on an inadequate amount of IV fluids and it was a 2-day struggle to get the IV fluids increased but by then it seemed like the damage had been done. After 30 hours of alarming clinical decline, 24 hours of no urine output and 4 hours of an undetectable BP, Lewis died on post op day 4 from an NSAID induced duodenal ulcer. During the morning of Lewis’s death, doctors and nurses scoured the hospital to find a cuff or a machine that worked so that they could detect Lewis’s undetectable BP. They took his BP 12 times using 7 different machines and cuffs, dismissing the undetectable BP as an equipment error. Lewis eventually went into cardiac arrest. Could his death been averted by an assertive nurse? Could open and honest communication have prevented this error? If the doctors and nurses had practiced mindfulness and considered the family as part of the healthcare team would Lewis still be alive today? This story speaks directly to safety. It’s an example of why nurse empowerment in reference to patient safety is so critical and why you all are so valuable to the lives of our patients. We belong to an institution that empowers us to speak up, to be accountable, to communicate and above all to practice as safely as possible. I ask you all to remember this every day and to teach our new nurses that it’s okay to speak up, it’s okay to say you’re unsure of something, it’s okay to ask questions. By doing so, you could save a Lewis Blackman or a family from tragedy like this. Now that you are official graduates of your residency program, I challenge you to lead by example and continue to foster a safe environment here at Georgetown. You are now leaders and it’s your job to take our new nurses under your wing and show them the way. Dave Mayer, our VP for Quality and Safety here at MedStar told our Telluride group this: “leadership is like tennis, it’s a skill that you always have to work on.” I’m proud to have you all as leaders and I have confidence in each and every one of you that we will be a safer institution because of you. Congratulations! Having had the delightful experience of attending and working with all of the sessions of the Telluride Experience this summer, I’ve spent some time since returning from Napa thinking through the scope and the effectiveness of what we all came together to advance: The goal of never again losing a patient to a medical mistake or nosocomial infection. It may well sound hackneyed, but in fact I think all of us as faculty mean it to the depth of our beings when we say that the medical students and residents and nurses – all of those who joined us – are truly the best hope of changing the course of a noble but tattered non-system that slaughters people at the rate of 50 per hour. That does not mean that existing healthcare professionals cannot or will not embrace the dramatic changes that are required to keep patients safe, because, indeed, thousands are passionately involved in just such efforts. It does mean, however that the opportunity for leadership from the newer members of this profession will be critical, from the small and subtle gestures, to the grand and sweeping reforms. And the potential for meaningful leadership, of course, is why those who joined us were selected in the first place, and what we expect of them from here on: Courageous leadership steeled against the oppressive influence of the status quo. 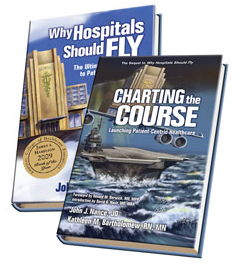 Having participated in this battle for patient safety for nearly a quarter of a century, I can say with some degree of authority that no matter how many presentations, discussions, articles, consulting hours, or other efforts are thrown at the problem nationally, creating a major cultural change is perhaps an order of magnitude more difficult when you’re surrounded by the very environment you’re needing to alter. Coming together at a distance – especially in a resort atmosphere, or in the incredible beauty of Telluride itself – is an important element in achieving transference of ideas, concepts, goals, and determination as free of dogmatic and traditional thinking as possible. And, of course, catching people at the beginning of their careers before the insidious influence of cultural rigidity has been allowed to take root and oppose change, is an equally important key. I know of no better forum than this, and I’m truly honored to be a part of it. And so we came together and told you horrifying stories that made us all cry, exposed young learners to the realities and predictability of professional human failure, and rubbed all our noses in the reality that a profession whose routine operations count as the third leading cause of death in America does not possess the ethical choice to resist meaningful change. But at the end of the day – and our time together – it all comes down to taking those small sparks of understanding and recognition and fanning them into flames back home, never forgetting that every hospital room, scheduled surgery, ambulance arrival, admission, or diagnostic test involves a fellow human who is as entitled to the highest standard of care and caring as your own family. From a very personal POV, I thoroughly enjoyed meeting each of our participants this season and pushing the quest forward, and I look forward not just to next year, but to hearing how the seeds we all helped sow will sprout and change the landscape of American healthcare.